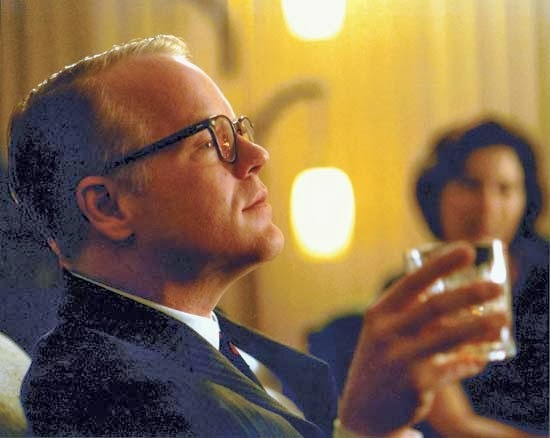 The apparent drug overdose of Philip Seymour Hoffman makes me sad, I enjoyed him in so many films, and it also makes me feel lucky that I have existed in a bubble without heroin and heroin addiction. I don't know that I've ever been to a party with people taking heroin? I don't know if I have any friends that have taken heroin? How did I grow up in a bubble? Maybe it was my small town upbringing which culturally stigmatized drugs (only losers do drugs). Or maybe it was because I was in the business school in college; me and my friends were focused on our degrees more than experimenting. Or maybe it was because I never had a cash surplus? I just want to create a world for our future children where they don't have to deal with heroin and heroin addiction. Should we move back to my hometown?! Oh my. Being a parent is going to be tough. I'm going to worry about my children...their whole life!